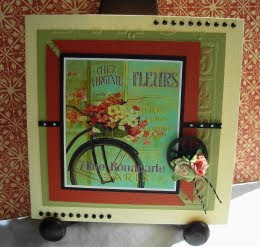 Vada's Blog Stamp Inks and Paper : July Special Content Sketch for Gingersnap Creations. July Special Content Sketch for Gingersnap Creations. I’m not sure were I found the graphic, but I really love it. 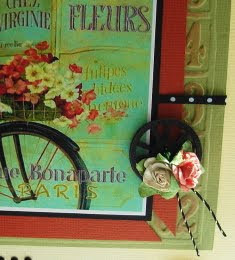 What a fun challenge, stop over to Gingersnap Creations and give it a try. What a pretty card Vada!!! Stunning Vada! Love the colors! Love this image and colours are super! Is that a little wheel? how precious you card is, always a joy to see your work!